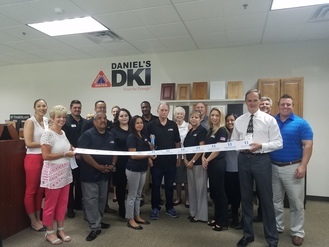 Since 1977, Daniel's DKI has been helping Coachella Valley residents & businesses restore their property after disasters of all kinds such as water damage, fire damage, and more. We understand our customers' need for fast, reliable service in order to get back to everyday life. Unscheduled remodeling is hard to manage if the restorers in charge of the project don't understand the situation. We pride ourselves on employing some of the finest emergency disaster restoration technicians the Palm Springs, CA area has to offer-people who take care of our customers like they are part of their own families. Our goal is to help our customers make informed decisions that they are comfortable with. We do this by providing expert knowledge and top-notch customer service throughout every phase of the project. Daniel's DKI is a proud member of the Disaster Kleenup International (DKI) network. 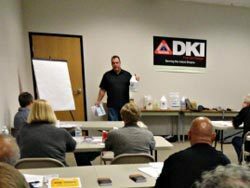 DKI is the largest property damage restoration organization in North America. Being a DKI member allows us to have full access to cutting-edge technology and provides us with resources to handle any job, no matter how large or complicated. DKI membership also ensures that the Daniel's DKI team provides customers with the highest quality service and follows a strict code of professional ethics.